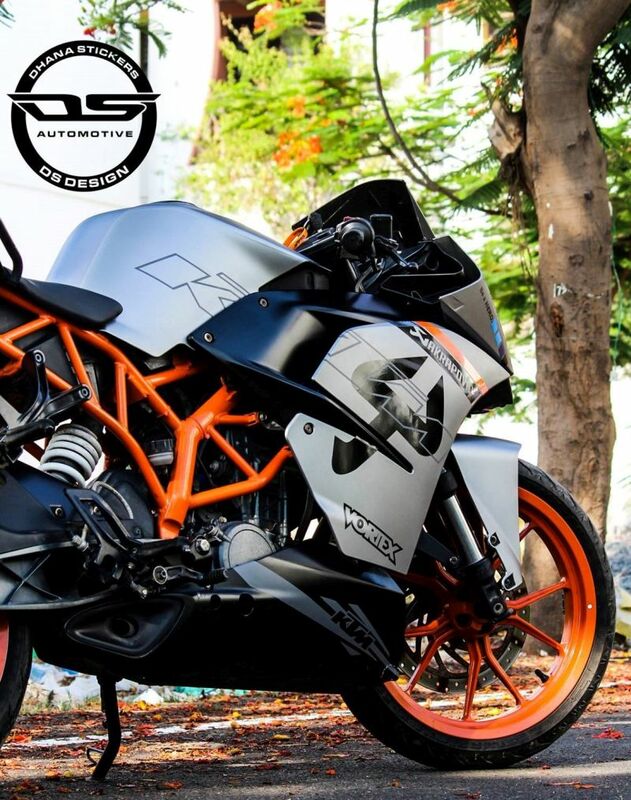 Meet KTM RC 200 Brushed Gray Wrap by DS Design: RC 200 is the most expensive 200cc motorcycle on sale in India. 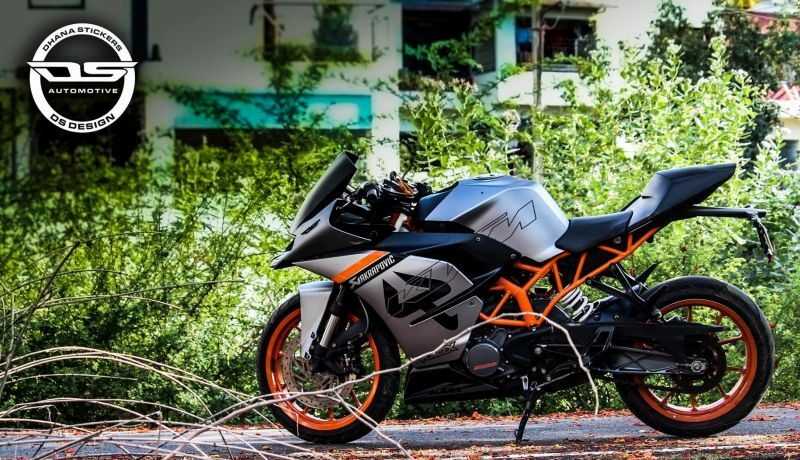 The bike costs INR 1,78,000 and performs equally well in order to keep its neck always high. 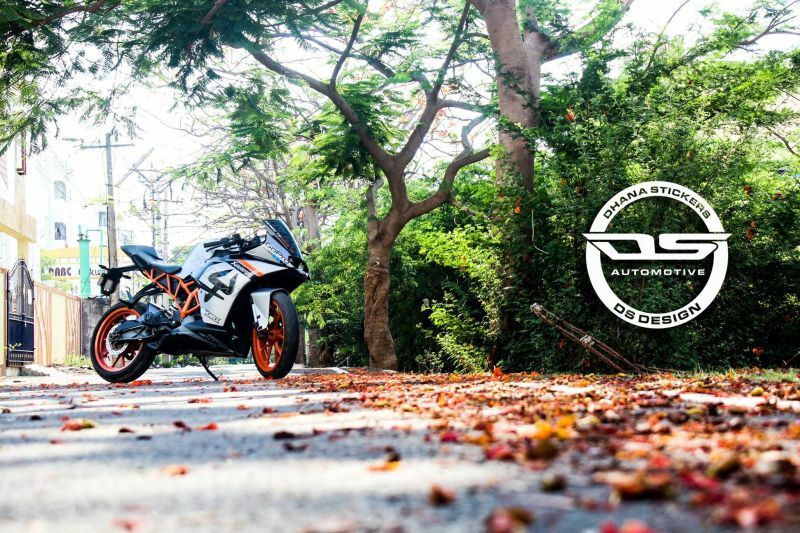 This custom RC 200 by DS design flips the actual White theme of current variant on sale in India. This one comes wrapped in Matt Grey and Black for the unique appeal. They have kept all the Orange bits intact, leaving those alloy wheels and exposed frame in the stock condition. 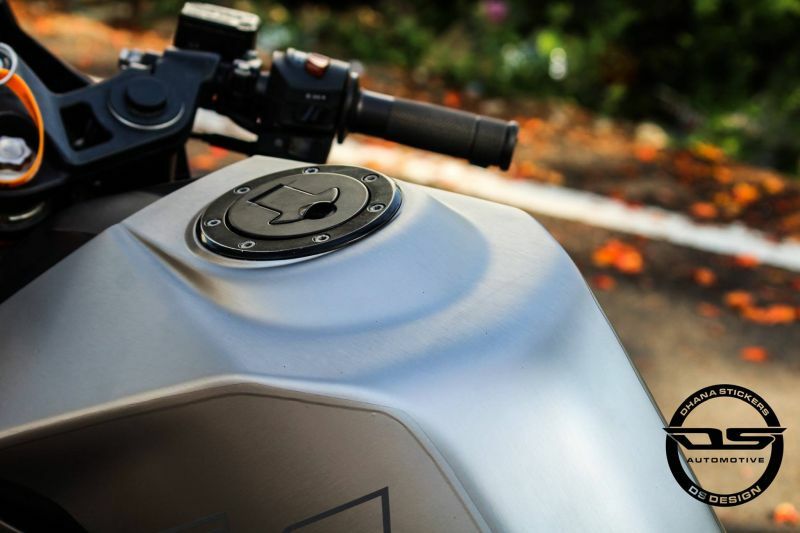 The underbelly panel on the motorcycle is finished in Black with KTM moniker and minimal silver graphics. 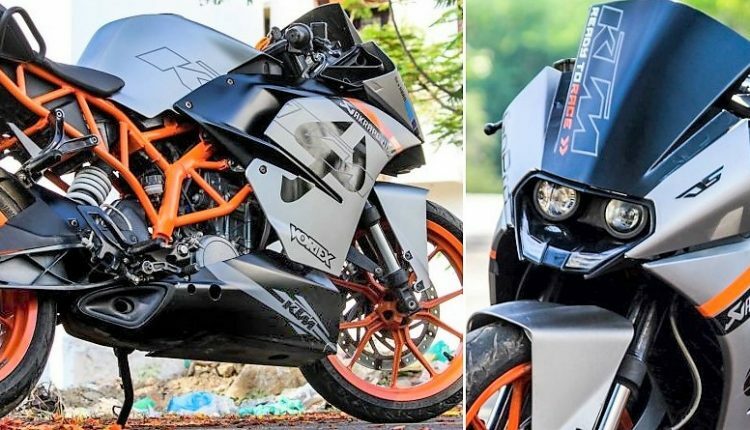 The upper section of the RC200 gets Matt Grey finish with dark Akrapovic logo and branding while fuel tank simply carries the ‘K’ out of the huge KTM moniker. 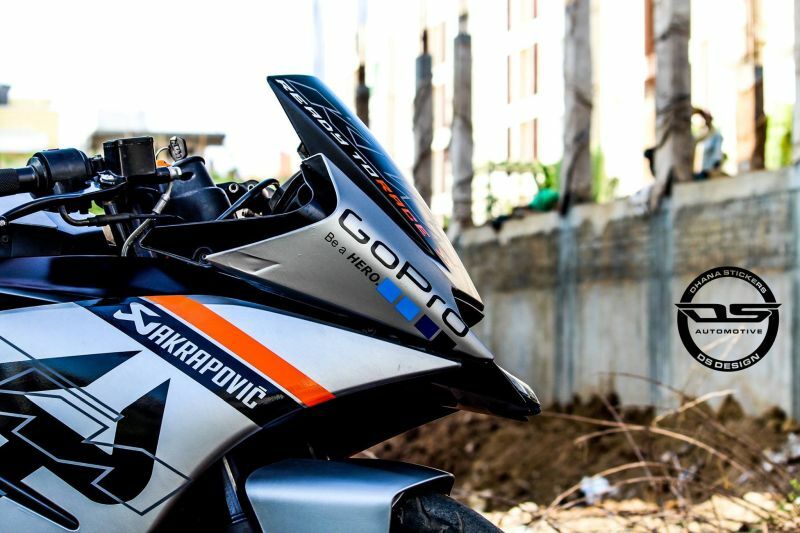 They have used Vortex as well as GoPro moniker on this typical RC200. 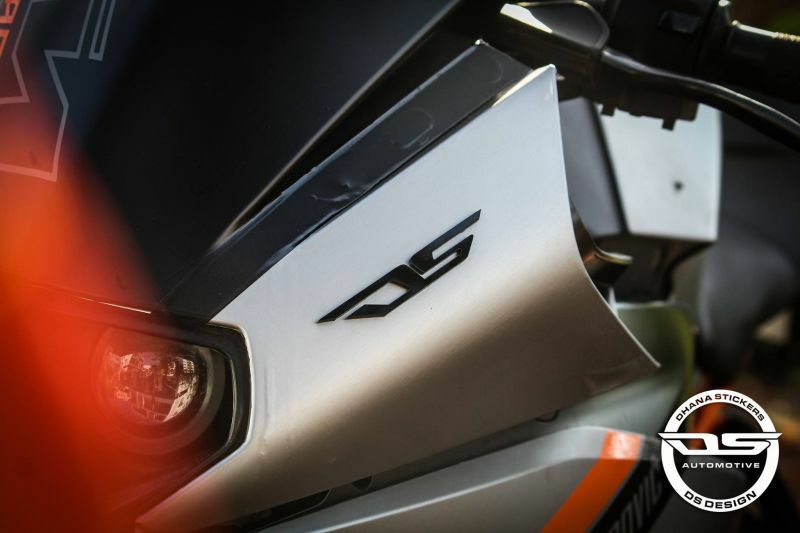 The front visor gets finished in Black while Ready to Race reads loud on the same. DS branding is seen on the another side of GoPro logo. 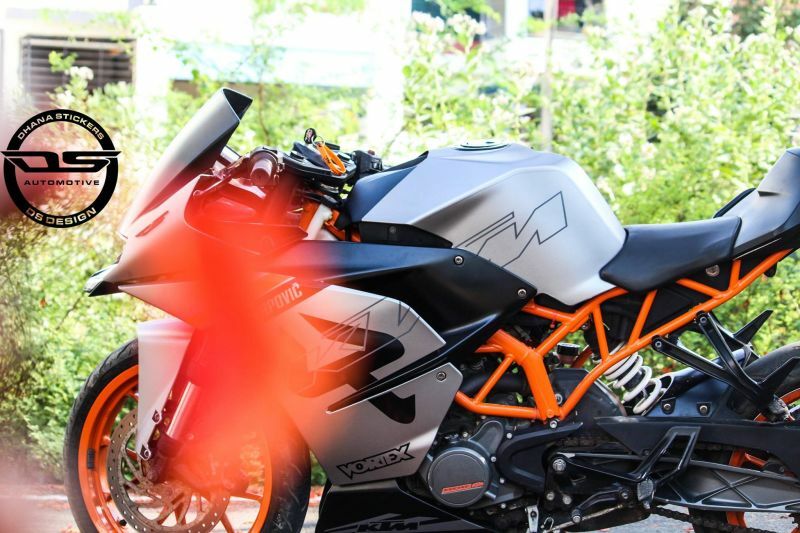 KTM RC 200’s side panel even gets an Orange insert while nothing has been mechanically altered in the motorcycle. 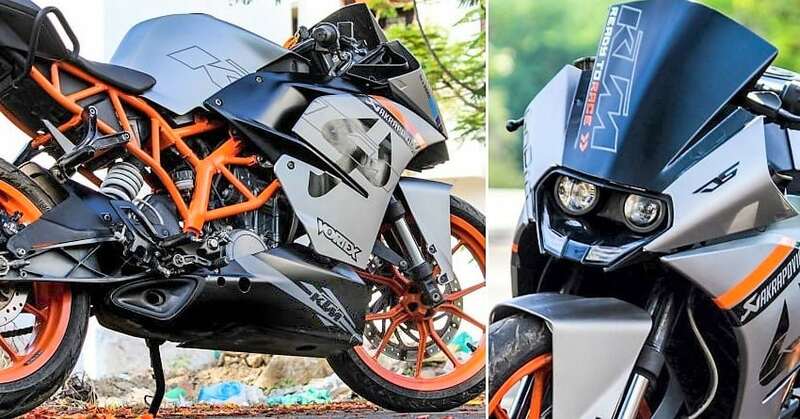 KTM RC 200 is powered by a 199.5 cc, single cylinder liquid cooled and fuel injected engine producing 24.6 BHP at 10,000 rpm and 19.2 Nm at 8,000 rpm. 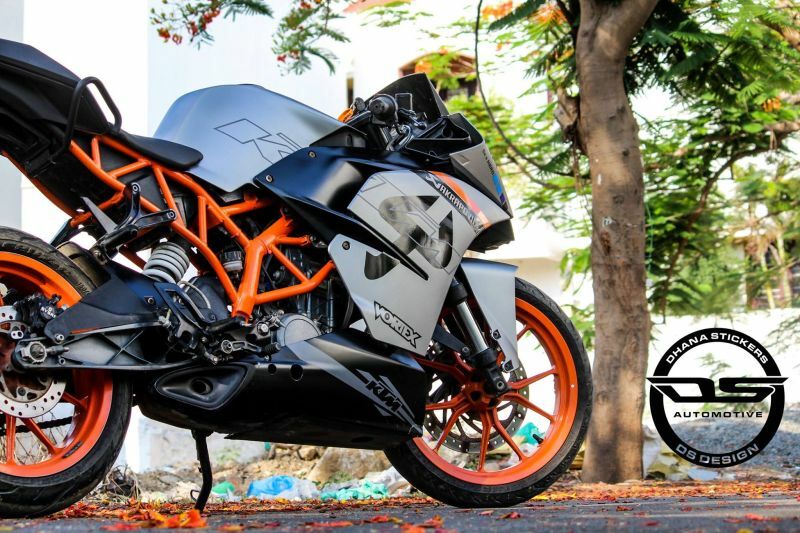 The engine comes mated to a 6-speed gearbox while the motorcycle claims a top speed of 140 kmph. 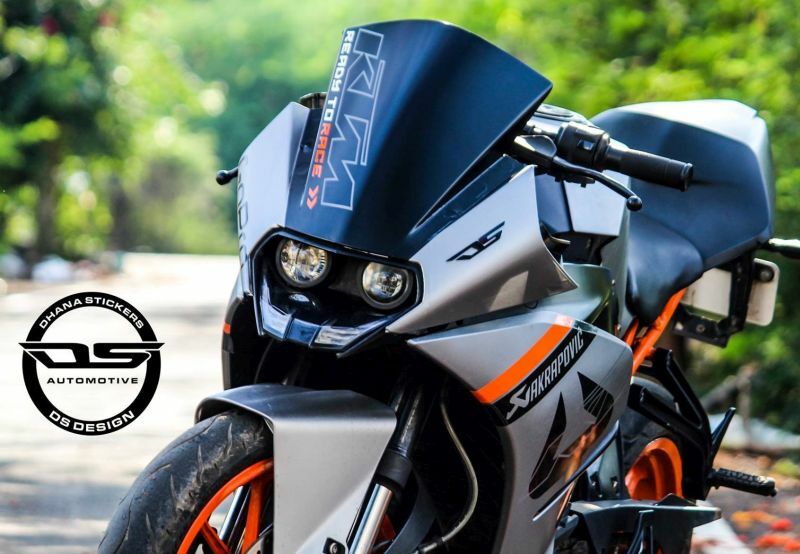 RC 200 can sprint from 0-100 kmph in just 9.3 seconds while riders claim around 35 kmpl of mileage from the motorcycle. 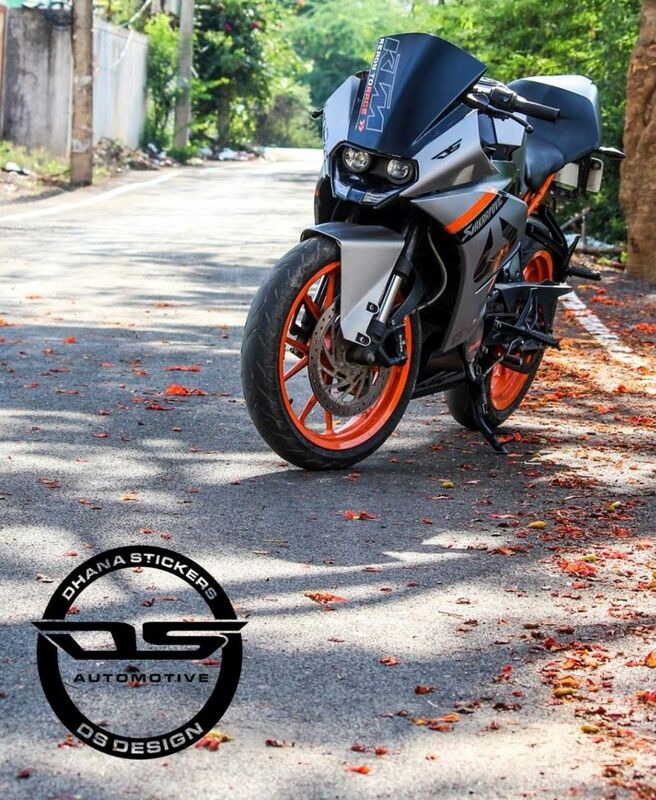 It is based on the same design as RC 390 but lacks certain features like dual channel ABS and ride by wire throttle. It comes in White/Orange shade in its stock 2018 variant.